Disclaimer: The participating bloggers were not compensated for this post. We are not associated with any of the companies named above. No purchase is necessary to enter. One entrant per household. Void where prohibited by law. The odds of winning are based on the number of entries received. Confirmed Winner(s) (by Random.org) will be contacted by email. Winner(s) have 48 hours to respond before a new winner is chosen. The sponsor(s) will be responsible for product shipment to winner(s) of this sweepstakes. My blog is not responsible for product shipment/delivery. This event is in no way administered, sponsored, or endorsed by, or associated with, Facebook and/or Twitter, Google, Pinterest. This disclosure is done in accordance with the Federal Trade Commission 10 CFR, Part 255 Guides Concerning the Use of Endorsements and Testimonials in Advertising. Contact theiowamom@gmail.com if you have any additional questions or comments. Disclosure: I received complementary samples in order to facilitate a review. No other compensation was received. Any and all opinions are honest and my own but may vary from yours. Giveaway is in no way associated with Facebook, Twitter, Google, Pinterest or any other social media site. As someone who takes multiple medications daily, I know how difficult it can sometimes be to stay organized and remembering to take them every day. I recently received a product called The MedCenter System and was asked to try it out and give my thoughts about it. Prior to receiving this system, I was resorting to opening each and every prescription bottle and pulling out what medications I needed for that time of day. This ended up taking up more time than I would have preferred multiple times a day. The MedCenter System definitely caught my attention. What makes this different than other medication containers? Disclosure: Just the Two of Us and Deals was not compensated for the promotion of this giveaway. All opinions are our own and were not influenced in any way. Keep in mind what works for us, our children or our family may not work for you. The sponsor will be responsible for prize shipment. Crunchy Livin Mama Style and any participating blogger is not responsible for prize fulfillment. 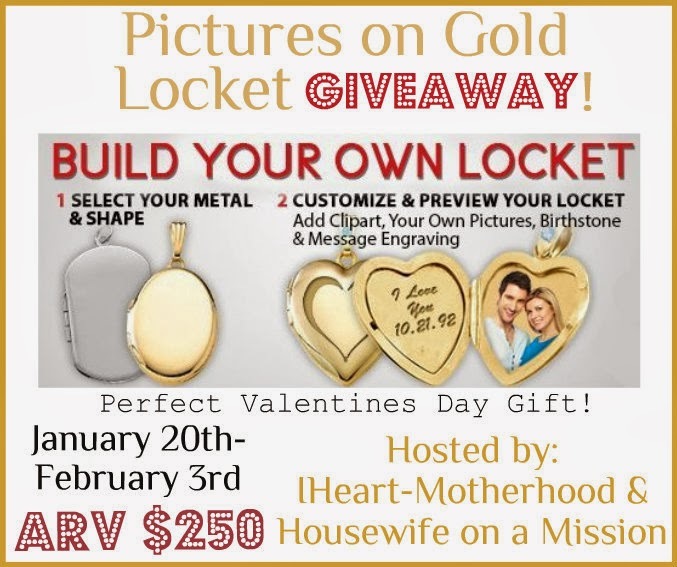 Facebook, Twitter, Pinterest, Google and any other social media are not affiliated with this giveaway in any way. This disclosure is done in accordance with the FTC. If you have any questions regarding this post, please email Sam at Crunchylivinmamastyle@gmail.com. 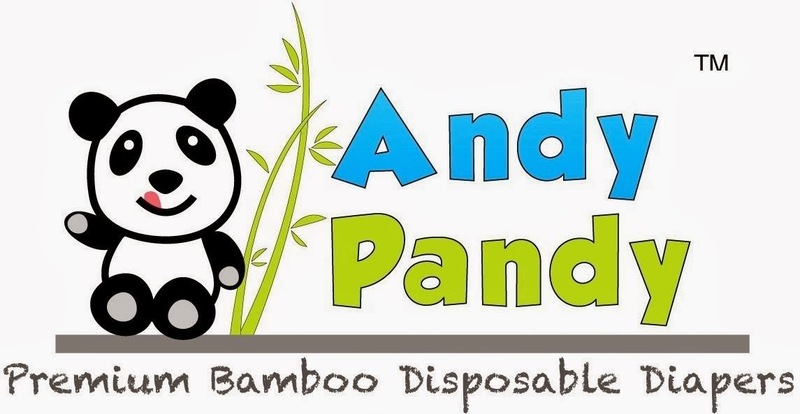 Welcome to the Andy Pandy Bamboo Disposable Diaper Giveaway! A biodegradable, bamboo disposable diaper free of perfumes, latex and antioxidants! 100% chlorine free! Disclaimer: Joy Of Momma Joyner, Mama On A Green Mission, and all the participating blogs are not responsible for the fulfillment of the prizes. The sponsors will send the prizes directly to the winner. We are also not responsible for any unfortunate accidents that may result from the use of any of these products. Just the Two of Us and Deals was not compensated for posting. Giveaway is in no way associated with Facebook, Twitter, Google, Pinterest or any other social media site. A Winter Wonderland Of Babies Event Is HERE!WegettoCELEBRATEallthenewbabiesinourlives! Just had a baby? Know someone who just did or is pregnant? Enter to win this fabulous prize package! Disclosures: This promotion is in no way sponsored, endorsed or administered by, or associated with, Facebook. Thrifty Nifty Mommy, Viva Veltoro and the participating bloggers are not responsible for prize fulfillment. Giveaway is open to residents of the 48 contiguous US states, age 18+. Giveaway will close at 11:59PM EST on 2/10/14. One (1) winner will be selected randomly from all eligible entries. Winner may select any toy from the Step2 website that has an original price (MSRP) of $150 or less; shipping will also be provided free of charge.If the winner would like an item that is more than $150 ARV, he/she will be responsible for the difference plus applicable tax and shipping. Please note, this is valid for ONE item up to $150 original price, not a suite of products. 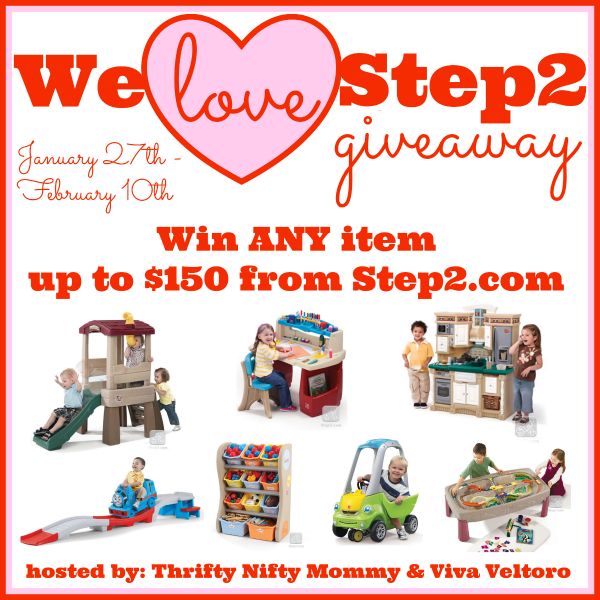 Thrifty Nifty Mommy & Viva Veltoro are Step2 Ambassadors. As a member of this program they receive compensation and products in exchange for sharing their honest opinions. Love iTunes? Enter to win a $25 iTunes GC below and you will be able to get free music, apps or whatever you'd like! Disclosure: Just the Two of Us and Deals was not compensated for this post and is not responsible for prize fulfillment. Giveaway is in no way associated with Facebook, Twitter, Google, Pinterest or any other social media site. Want to makeover a room? Enter to win a $50 Target GC and GE Light Bulbs below! Hosted by: Queen of Savings, Tammie's Reviews, Giveaways and More, Gone Sweeping, Dividing by Zero and Moving Through Life A quick and easy way to makeover your home for the New Year is to switch your light bulbs to GE reveal® for clean beautiful light that will make the colors of any room pop. GE reveal® bulbs provide amazing clean full spectrum light that filters out the dull yellows of standard incandescent light bulbs. Watch this fun and stylish video featuring four hip tastemakers discussing the importance of good lighting and how quick and easy it is to do a reveal® lighting makeover. Disclosure: This blog is not responsible for prize fulfillment. CoverGirl will be sending the $100 Walmart gift card to the winner directly. This blog was not compensated for posting. Giveaway is in no way associated with Facebook, Twitter, Google, Pinterest or any other social media site. Enter to win a $100 Walmart GC below! *The participating blogs did not receive any compensation for this giveaway, Sponsor is responsible for shipment *except FrangranceNet.com & DarcusTori* any questions please email Michelle at Michelle@sweetsouthernlovin.com* Giveaway is in no way associated with Facebook, Twitter, Google, Pinterest or any other social media site. *The participating bloggers were not compensated for this post, nor are they responsible for prize shipment. Winner will have 24 hours to respond after being contacted via email. The Binder Ladies is responsible for prize shipment. If you have any questions, please contact thebinderladies@gmail.com. Giveaway is in no way associated with Facebook, Twitter, Google, Pinterest or any other social media site. Co-Hosted By: Sweet Southern Lovin, Cookies Kitchens & Silly Seely's Reviews! and sponsored by Pictures on Gold.